Ned: I like to think that if you put your trust out there; if you really give people the benefit of the doubt, see their best intentions, people will rise to the occasion. 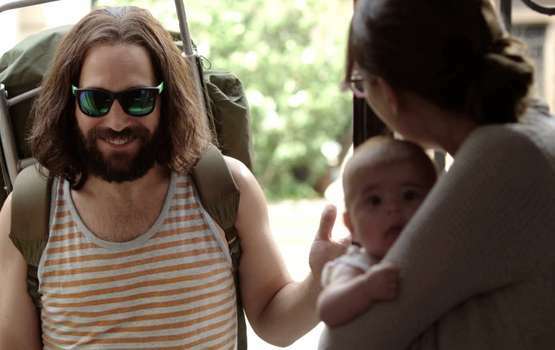 In Our Idiot Brother, Paul Rudd is able to do something few actors can in the opening minutes of the film. He makes us instantly like him. His character’s hippy-ish, Dude-like persona is non-grating and adorable, despite the fact that his character, Ned, makes some poor choices. It is just too bad he has to deal with three nearly-shrewish sisters. 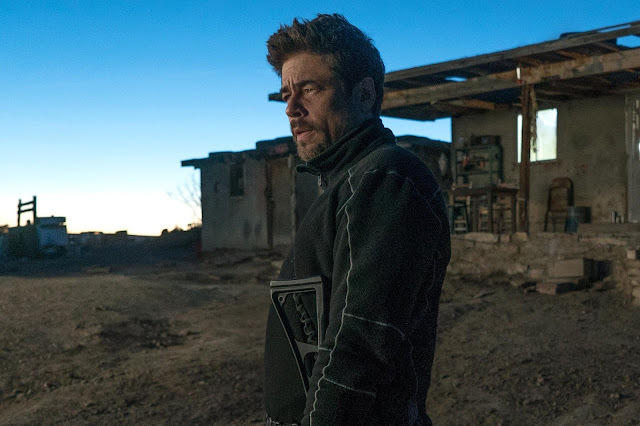 Ned’s siblings tend to make him a punching bag of sorts in a film that is not quite biting, but is certainly meaner in spirit than it is in actually watching it. The film does manage to be quite funny and features a great cast, but its incredibly laid back attitude and willingness to rest all of charm on Rudd’s shoulders makes the film a bit uneven. Our Idiot Brother has a very 70s way of keeping its meandering story watchable, even when its fairly trite wrap-up comes into play. Rudd stars as Ned, one of the most well-meaning and trusting guys out there. As we being the film, Ned is so well-meaning, that he is convinced that selling weed to a uniformed police officer is a good idea. This leads to Ned’s imprisonment of course. Months later, after being kicked off of the farm he was living at with his girlfriend (Kathryn Hahn), who has replaced Ned with a similar looking dolt (T.J. Miller) and denied Ned ownership of his own dog, Ned goes back home. 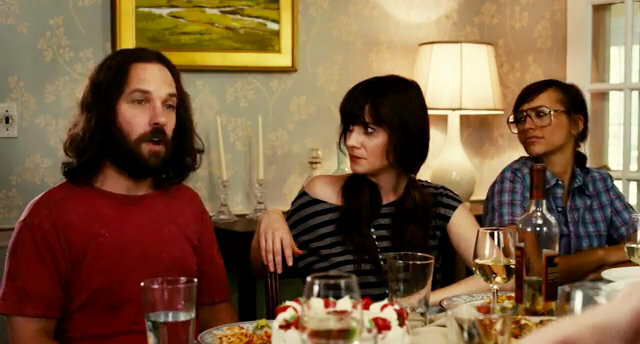 Ned now enters more prominently into the lives of his sisters; Miranda (Elizabeth Banks), the bossy, career-minded one; Natalie (Zooey Deschanel), the hipster bisexual living with her girlfriend Cindy (Rashida Jones); and Liz (Emily Mortimer), mother of two and wife to her snide, filmmaker husband Dylan (Steve Coogan). Given Ned’s easy going personality and the high-strung nature of his sisters, it is only inevitable that Ned’s prolonged stay with all of them causes problems, sometimes resulting from Ned being too nice and willing to speak a little too much, but more so do to problems that these sisters have, which manage to present themselves to Ned in various ways. As a result, Ned’s zen-like calm will be challenged as he tries his best to stay in the good graces of everyone, despite having few ideas for improving his life or making any sort of ambitious move. Really, all Ned wants is his dog back…his dog, Willie Nelson. 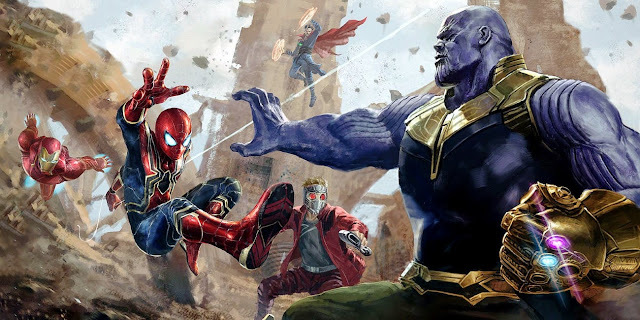 I really liked this movie, so I think what is stopping me from wanting to praise it more was how mean I thought it all actually was after the fact. 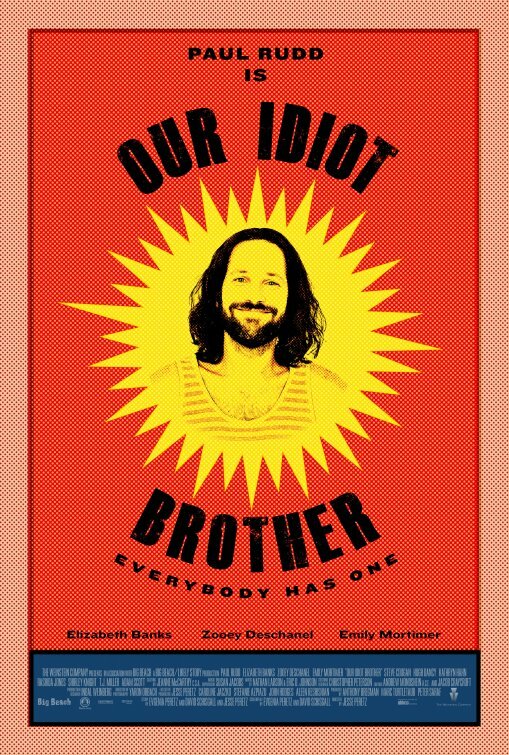 Even the title, “Our Idiot Brother” is pretty mean. Ned has done some things that could have used one more go around in his mind before acting on his impulses, but he is still one of the sweetest guys in the world (who’s look consists of a large beard, long hair, and crocs). The film is deceptively charming, in that Ned is such a charismatic guy to the audience watching him, despite the fact that he is being treated like crap throughout much of the film. It comes down to how endearing Paul Rudd is as Ned, which helps the film get buy. 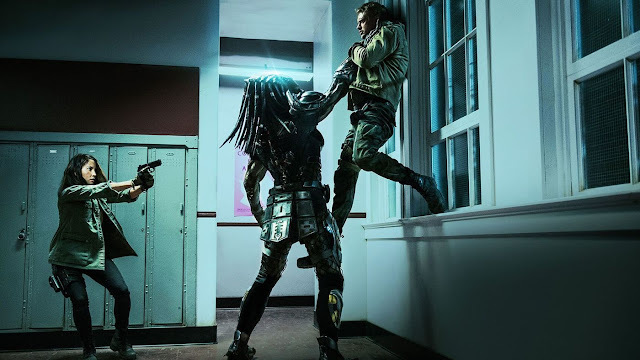 Rudd is always an incredibly reliable actor when it comes to any role he gets to play, with this film serving as a bit of a change in pace for him. While his much flashier role in Anchorman is still the farthest he has strayed from being the dryly hilarious straightman, the role of Ned is nice change in pace for him as well. Aiding Rudd is a pretty great supporting cast that decided to add geek bonus points by putting Zooey Deshanel and Rashida Jones in a romantic relationship together. 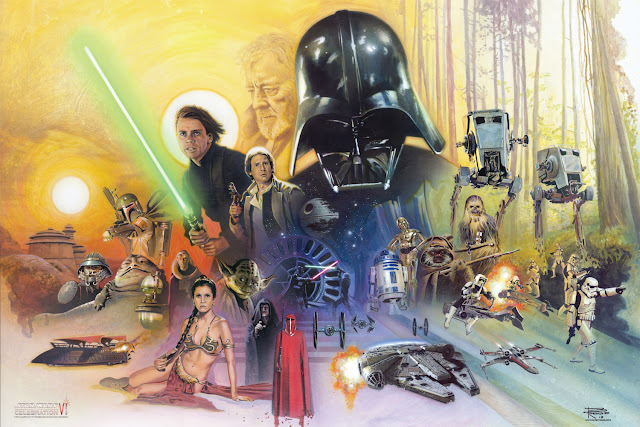 It is to the credit of the cast that the characters come off better than what was apparently scripted, which could have made many of them come off as more two-dimensional than I would have liked. Banks and Moritmer are very reliable actresses, but their actions against Ned were on and over the line of grating in many spots. The same goes for Coogan, but it is easy to watch him revel in being such a snarky presence. It doesn’t hurt that Adam Scott gets to come along for the ride as well, in a role that could have been played by Rudd in a different film. 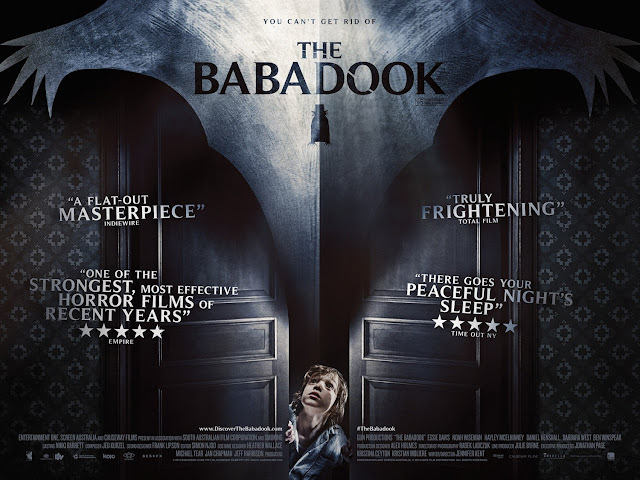 I recommend this film, easily. It is lighthearted affair that is enjoyable to watch; despite the grating issues I have with how the film treats its women for the most part. 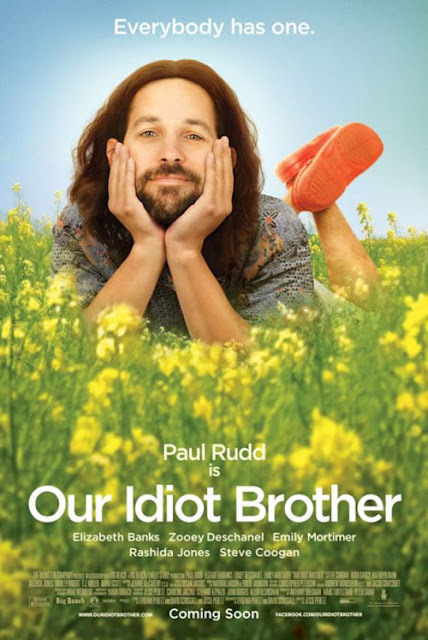 Our Idiot Brother depends heavily on the charming nature of Paul Rudd, but that is not such a bad thing. 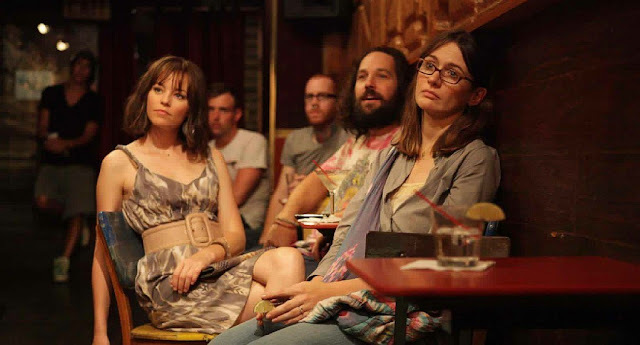 The film plays around with indie conventions well enough to have kept me caring where things went, while also being frequently funny throughout. Ned: Y’know I try and do good, but I just screw it up. On top of it all, I broke down and smoked with a kid that lives across the street from me. Ned: I said I broke down and smoked with a kid that lives across the street from me. Omar: You don’t tell your parole officer that you just got high.